We never quite got to know the REAL Jon Toral. Precisely zero appearances for the first team smacks of a player that never quite made the grade at our club, but there is a tinge of sadness with the Spaniard signing a permanent deal at Hull City. Toral, still only 22, seemed destined for the biggest stage when he signed with us back in 2014. His showings for the Reserves were impressive, and loan spells soon followed for the youngster to truly test the midfielder and see whether he could convert his bags of potential into that sprinkling of magic that all top players have. Brentford and Birmingham City were his first ports of call, both season-long loans designed to check his progress. Both times he left the clubs with glowing references. At Birmingham especially, he returned to Arsenal with the Goal of the Season and the Players and Supporters Player of the Year awards safely tucked in his belt. His showings smacked of a clever player with composure, who could work openings. The Spaniard had been hewn from La Masia stock, and his touch and passing reeked of Catalonia. He looked to be the real deal. Injuries had hampered the youngster a tad, but crucially he did not take long to get back to speed after a layoff. An injury in a loan spell is usually the death knell to any opportunity, so in cahoots with his talent, he also had a mental resolve that was required too. The next season though, was when Toral hit a hurdle or two. Another loan spell beckoned, and it was a step up from his spells in the Championship. Granada in LaLiga was the destination, and it started so well, but his loan was cut short halfway through the season after only six appearances. Keen to keep his place on the progress chart, he chose to spend the second half of last season on loan at Rangers. He managed 15 showings and 3 goals, but he couldn’t quite manage the sparkle he managed in the previous season. Injuries did play a part, but what was hindering him most is that at Granada and Rangers, he couldn’t hold down a regular spot. It meant that the jury was still out on Toral back at Arsenal, so this summer, it was either another loan spell, stay at the club and hope his performances for the Reserves would attract Wenger’s attention – or leave. Hull City and Leonid Slutsky came calling, and we cannot blame Toral for his decision. He is eager to progress and play regularly, and at the KC Stadium he will have that opportunity. Could we have been a little premature on the decision? It has left many questions regarding Toral, and a feeling that he could well flourish and come back to haunt us in the future. A buyback clause would have been ideal – let Toral grow and then bring him back into the fold when he is ready. Unfortunately, yet another young player with bags of talent has left the club. None of us will know if Toral would have cut it at Arsenal, but it would have been great to give him that chance. He seemed the archetypal Arsenal player, but when hunger for gametime kicks in, no one can begrudge a youngster the chance to make hay whilst the sun shines. 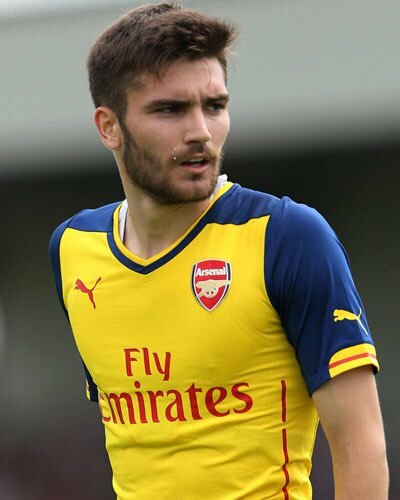 Good luck Jon Toral, Gooners everywhere wish for you nothing but the best – aside from when you play us! Very dificult giving young players a chance when the first time you lose/draw/concede a goal/make a semblance of a mistake a % of the crowd are on your back,social media wants you hung drawn and quartered just after castrating you and your remaining family. Amen, great point well made. The chances for kids are slim and none. I Don’t blame him for leaving.